We're often asked if we make our own ice cream. As much as we'd love to do that, we just don't have room. 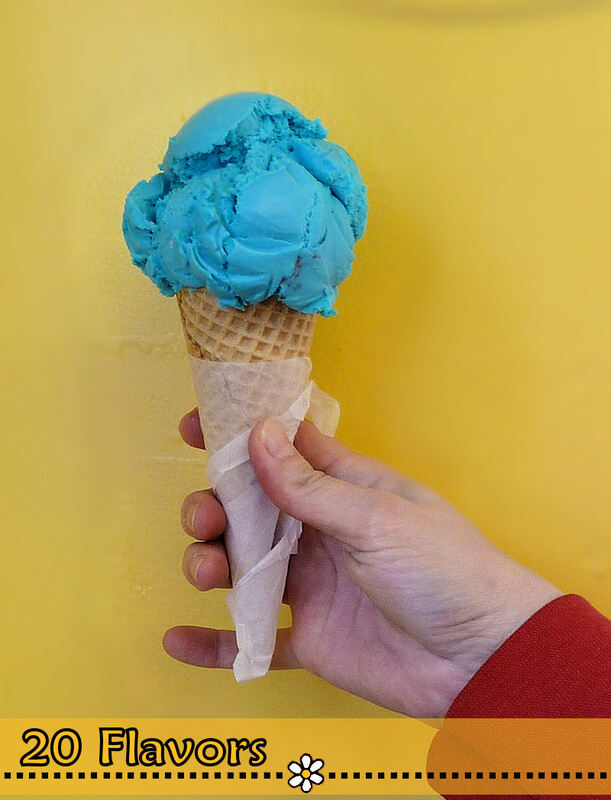 We do, however, proudly serve Cascade Glacier ice cream which is made right here in the Northwest! Also just across the border, Jens Rasmussen of King Cone Wafflecone makes us our waffle cones. We miss our Brady cones, but if Jens' cones are good enough for Mallard, they're certainly good enough for us. A day at the beach wouldn't be complete without ice cream and snow cones! With two 8-tub and a 4-tub dipping cabinets, we're ready to scoop up most of your favorite flavors. Both The C Shop Cafe and The Candy Shop have 4 or 5 regular ice cream flavors each in addition to several rotating options. We also try to make sure that there's a sherbet and a sorbet to be had somewhere in the building. 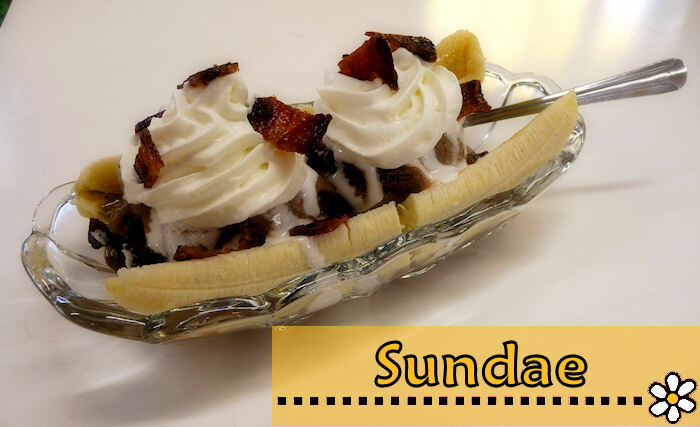 As if that wasn't enough, we have a variety of toppings in the Cafe for sundaes and, of course, we make a pretty mean milkshake. 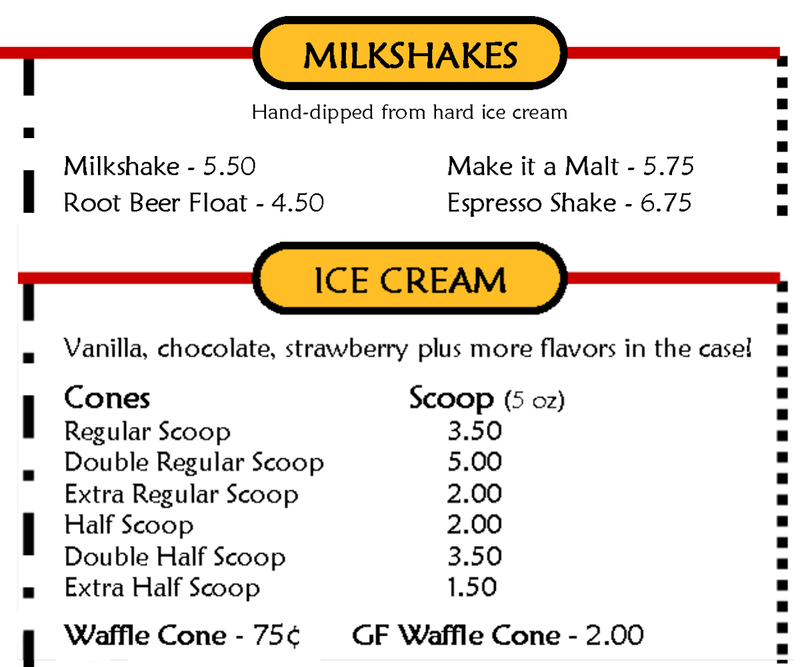 20 flavors of ice cream are available served in waffle, sugar, or cake cones and also cups, pints, and quarts. If you've been getting ice cream in a bowl for years because you discovered that you are gluten intolerant, we have good news for you. We carry gluten free waffle cones made by 5b's Bakery! They are seriously delicious. In the Candy Shop, we have the perennial summer favorite snow cones. 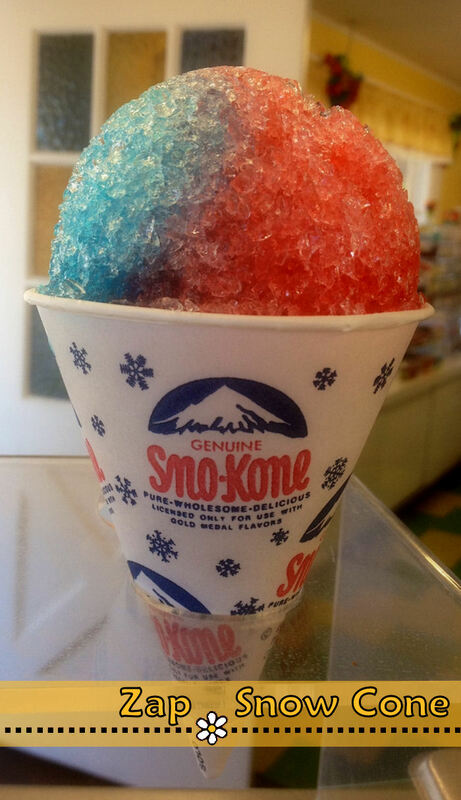 C Shop Snow Cones are like most everything else that we offer: homemade! We start with C & H pure cane sugar, add flavor, color, and sometimes citric acid. That's it. Either way, rest assured there is no high fructose corn syrup in any of our snow cone or candy formulations. Father's Day 2012 special Elvis Split: one banana, two scoops of chocolate peanut butter ice cream, marshmallow creme, and whipped cream sprinkled with candied bacon (enhanced with a hint of cayenne) garnish. Who knows what we'll come up with this year.